The Barter Company trade exchange is celebrating its 10th year in business with the announcement of an expansion into Destin, Florida. TBC founder Ric Zampatti, in addition to providing exchange services to 2,000 businesses in the Atlanta area, also has an established billboard company. TBC is hosting its annual golf outing on October 16 at the Brookfield Country Club in Roswell, and a holiday trade show on November 4 at the Cobb Galleria Centre. The second annual Clinton Global Initiative held in NYC last week saw heads of state, celebrities and the super-rich, gathering to raise funds to help solve the world?s problems. The buzz at this year?s meeting centered on a topic heretofore all but ignored...registering poor people?s property so they could borrow against it to build businesses, etc. Many citizens of developing countries (estimated to be 85%) don?t formally have title to their land, which is a key source of urban poverty. Unregistered land in developing countries has an estimated total of over $9 trillion. It?s wealth locked-up, which keeps people in poverty instead of being an asset that can lift them up. Saying that ?land ownership is the cornerstone of economic stability in any region,? Craig DeRoy, the president of First American Corp., a seller of title-insurance and credit information, committed $1 million in cash and in-kind services to develop a ?template? to give the poor in developing countries a way to establish land titles. There are nearly 7,000 hedge funds, but 80% of the $1.2 trillion in the industry?s assets are controlled by 125 firms, according to Hedge Fund Research Inc. of Chicago. 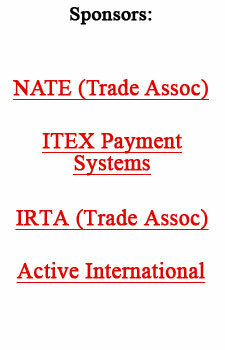 The ITEX Corp. (OTCBB:ITEX) with 22,000 members is the largest trade exchange in the United States. Just a week after the completion of the International Reciprocal Trade Association?s annual convention at the TradeWinds Resort in St. Petersburg (FL), the IBA (ITEX Brokers Association) hosted the first of three annual ?Regional Conferences? at the same venue. The three-day event was attended by ITEX licensees and franchisees, as well as four representatives from the corporate office. Continuous meetings and workshops were conducted to bring new information and programs to the attention of the brokers, and to promote a spirit of mutual cooperation. Chairman and CEO Steven White believes these conferences are vital for keeping everyone in the ITEX organization well-informed and connected. The next ?Regional Conference? will be held in Salt Lake City, and the final event will take place in Dallas. Serial budget deficits in the U.S. make the country?s economy less competitive, according to a study by the World Economic Forum, an institute in Switzerland. A rise in public debt means an increasing portion of government spending will go toward debt service, and less money is available for infrastructure spending (schools and other investments that could boost productivity). Heavy goverment borrowing tends to drive up the cost of money, i.e. businesses borrowing costs. The research institute downgraded the U.S. because of other long-term potential costs such as health care and pensions. The U.S., which fell to sixth place, has been replaced at the top by Switzerland. Finland remains second, Sweden rose to third. India ranks 43rd out of the 125 countries in the survey, China ranks 54th, Russia 62nd and Brazil 66th. A new web site, http://www.ilate.com, is the only web site of its kind in which users can search local businesses that are open much later or much earlier than their competitors. Businesses are searchable by category, and by their days and hours of operation. The web site lists businesses that provide the ?necessities? of life, such as pharmacies, supermarkets, walk-in clinics, libraries, internet caf?, grocery stores, restaurants, pet shops, book stores, computer shops, hardware stores, department stores, car rentals and post offices. And for the second year in a row, BizXchange in Seattle was selected as one of Puget Sound Business Journal?s 100 Fastest-Growing Private Companies in Washington State. For more information see: www.bizx.com. Buyers of diet products endorsed by TV psychologist Dr. Phil McGraw will be eligible for some cash refunds in addition to an exchange option (to receive Nurtrilite multivitamins), under terms of a $10.5-million lawsuit settlement alleging that the products didn?t work as advertised. The Shape Up products, which are no longer distributed or sold, included shakes, bars and multi-vitamins, made by CSA Nutraceuticals of Irving, Texas. Internet advertising spending in the U.S. jumped 37% in the first half of this year, compared with the same six months of 2005. Advertisers spent $7.9 billion to push products and services, the Internet Advertising Bureau reported. Search engines account for the largest ad format on the Web, at about 40% of total revenue. The top two U.S. search service providers are Google and Yahoo. Advertisers can search through the requests to evaluate and bid on the available placement opportunities. Before a transaction is completed, NextMedium?s site also allows for the director or other creative professional to approve and sign off on each placement. Then, in collaboration with Nielsen Media Research, NextMedium will measure the exposure of that placement by determining how many people saw it and how a brand?s total exposure compares with that of competitors. The beauty of product placement, a.k.a. brand integration, is that viewers can?t TiVo past it because it?s part of the show, and it lives on in any reruns or DVDs. Business mogul Rupert Murdoch is looking to trade DirecTV Group, the nation?s leading satellite TV operator, for something he values even more...greater control of his own company. Murdoch is negotiating to barter his 38% stake in DirecTV to cable pioneer John Malone, for the 19% voting stake in News Corp...owned by Malone?s Liberty Media Corp. The trade would free Murdoch from fears that Liberty?s chunk could fall into unfriendly hands and threaten his family?s grip on News Corp, which controls nearly 30% of the stock. The barter deal would save the two companies as much as $4.5 billion in capital-gains taxes, according to a tax analyst. ?There is no reason products and services could not be swapped directly by consumers and producers through a system of direct exchange -- essentially a massive barter economy. All it requires is some commonly used unit of account (trade dollars) and adequate computing power to make sure all transactions could be settled immediately. People would pay each other electronically, without the payment being routed through anything that we would currently recognize as a bank. Central banks in their present form, would no longer exist -- nor would money.? Ruminating on the potential impact of electronic commerce on the future stability and structure of the global financial system, his conclusion was as startling as it was original. ?The successors to Bill Gates,? he predicted, ?will put the successors to Alan Greenspan out of business.? In short, the pace at which the electronic economy is developing is making many traditional jobs, corporations, and institutions obsolete...at a speed few people could have imagined. And there is little reason to assume central banks are immune to the process. King said the internet poses challenges to many institutions, but the thing it does most radically is change the way goods and services are exchanged. Companies such as eBay or Amazon.com have devised new and different ways of delivering products to consumers. However, the ultimate means of exchanging goods is through the mechanism of money itself, and it is money that will soon be challenged by the Internet. Already the trend is for decreasing the number of different types of money in the world...Europe is abolishing some currencies. While in South American countries they are discussing doing the same by adopting the dollar as their currency. The idea of national currencies is fading faster than anyone imagined, which is one reason currencies are quickly consolidating into larger and larger blocks. The World Wide Web means that people shop across borders...not only when they travel, but every day. That is encouraging consumers to think in terms of several different currencies simultaneously, and it will create a demand for a more global currency than anything that presently exists. It also creates space for new currencies to emerge. There have already been proposals for different types of electronic money. And there is no reason anyone working online should not be paid in an electronic currency, which might then be accepted in exchange for goods or services...or converted back into dollars, euros or yen. The electronic economy will consequently create a demand for a more global currency than anything that exists now. Most likely it will be one of the existing big currencies such as the dollar or euro (probably the dollar) than any new currency. The crucial question is: How quickly will electronic commerce revolutionize the role of money? Attempts to innovate can actually put you out of business. That?s the conclusion of a study of more than 290,000 Australian businesses, 99% of which were small or mid-sized. The study also found that filing for a patent was, on average, associated with a 4.2-year reduction in the life span of a business. Elizabeth Webster, who conducted the study with fellow University of Melbourne economists Hielke Buddelmeyer and Paul Jensen, noted, ?While spending to develop an innovation, a company may jeopardize its financial health, limiting its ability to access capital in the future and ultimately reduce its odds of survival.? The study also revealed that renewing a patent...a sign of a successful product...adds an average of 10 years to the life of a business. Overall, the research found that economic conditions have the biggest impact on longevity. Making investments that weaken a company?s balance sheet makes it more vulnerable to those conditions.